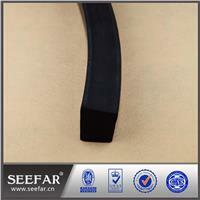 EPM EPDM StripEthylene propylene rubber is used for many purposes. This is considered to be the most water resistant rubber available. Some other applications are steam hose. 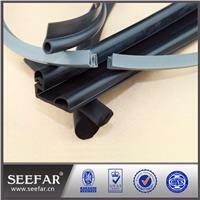 This rubber has excellent resistance to atmospheric ageing and oxygen. It has good ozone resistance. It has good resistance to most water-based chemicals. It also has resistance to vegetable-based hydraulic oils. It has however very poor resistance to mineral oils and di-ester based lubricants. 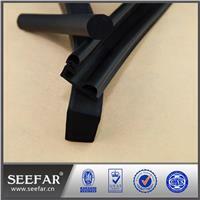 This rubber has stable, saturated polymer backbone structure. It has excellent resistance to heat. It has good electrical resistivity. The EPM or EPDM rubber is also resistant to polar solvents like water, acids, alkalies, phosphate esters and many ketones and alcohols. Ethylene-propylene rubbers are one of the most versatile, fastest growing synthetic rubber polymers. Excellent resistance to heat, oxidation, ozone and weather aging have led to increased demand for this rubber in automotive, construction, and mechanical goods applications. Current and emerging advanced polymerization and catalyst technologies have also led to design of polymers to meet application and processing needs that are very important to meeting the ever-increasing demands for product quality, uniformity and performance.